The Justice Dealer by Black Ops is a evolver that provides impeccable accuracy thanks to its 6 inch barrel being so well machined. 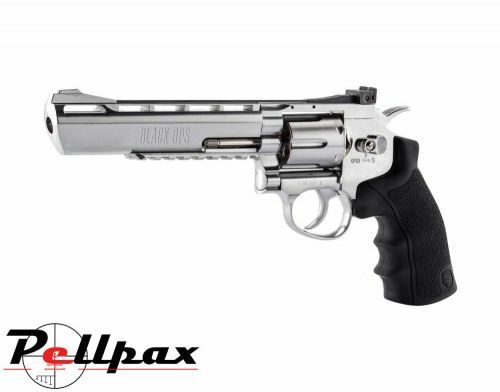 The explosive power of this revolver comes from the 12g CO2 capsules that are easy mounted and replaced and provide around 3 joules of muzzle energy. The full metal construction of the pistol increases reliability and toughness and ensures this pistol stays accurate for many years to come. This also adds to realistic feel of the revolver by granting it an authentic weight without feeling over balanced. The Justice Dealer also features weaver rails to allow you to customise the pistol to suit your needs. Add this item to your basket & spend an extra £370.05 to apply for finance.